Dr. David C. Flanigan is Assistant Professor of Orthopaedics at OSU where he serves as Director of the Cartilage Restoration Program, Associate Program Director of the Orthopaedic Residency Program (Resident Research), and Team Physician for the OSU Athletic Department. Formerly in private practice, Dr. Flanigan joined the OSU sports medicine department in 2005. He is board certified by the American Board of Orthopaedic Surgery and has subspecialty certification in Orthopaedic Sports Medicine. While Dr. Flanigan’s practice encompasses all sports-related injuries, his specialty is knee-related injuries with particular emphasis on acute and complex knee injuries, knee ligament reconstruction, and cartilage restoration. Dr. Flanigan uses advanced open and arthroscopic techniques and has extensive experience in ACL reconstruction and ACL revision, multi-ligament reconstruction, meniscal repair, and patella dislocations and stabilization procedures. As co-founder of the first Cartilage Restoration Program in Ohio, Dr. Flanigan has particular interest in cartilage repair and restorative procedures, including autologous chondrocyte implantation, osteochondral autografts and allografts. As a team physician for the OSU Athletic Department, Dr. Flanigan has worked with many of the University’s sports teams and has primary responsibility for the men’s and women’s ice hockey and volleyball teams. He also serves as team physician for the Columbus Crusaders and works with local high schools. In his capacity as Associate Program Director of Resident Research for OSU’s Orthopaedic Residency Program, Dr. Flanigan is closely involved in medical research and education. His research interests include cartilage injury and restoration, meniscal repair, ACL reconstruction and revision, and clinical outcome studies. 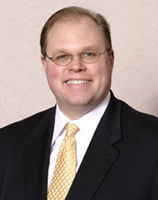 He is a two-time recipient of the Teacher of the Year Award from the OSU College of Medicine and has received several honors and awards for his research, including the Resident Research Award in 2004 from the Arthroscopy Association of North America and the Richard O’Connor Award in 2010, the association’s most prestigious research award. He was awarded the NFL Charities Medical Research Grant for examining the Effect of Season and Level of Play on Articular Cartilage Health in Collegiate Linemen. He is the author of over 40 publications and has made research presentations at numerous national and international societies of which he is a member, including the International Cartilage Repair Society. In addition, Dr. Flanigan is a member of the Multicenter Orthopaedic Outcomes Network (MOON) and the Multicenter ACL Revision Study (MARS) which are both multi-center ACL reconstruction and revision outcome research studies. He currently is enrolling patients in two clinical trials in cartilage restoration (the CAIS trial and the DeNovo ET trial). A native of the Chicago area, Dr. Flanigan received his Bachelor of Science from Wheaton College with honors while playing four years of Division III football as an offensive lineman. He earned his Medical Degree at the University of Iowa College of Medicine where he graduated among the top of his class and received many of the School’s highest awards and honors. After medical school, Dr. Flanigan returned to Chicago where he received his Orthopaedic Residency Training at Northwestern University. Following his residency training, he completed a Sports Medicine Fellowship at the University of Wisconsin while serving as an assistant team physician for the University’s sports programs. Dr. Flanigan married his college sweetheart, Angela Rybka, and the couple has four children, Jacob, Patrick, Emma, and Noah. In his spare time, Dr. Flanigan is involved with his church and children’s school and enjoys family time, fly-fishing, golfing and cooking. Arthroscopy Association of North America, "Radial Distribution of Chondrocyte Cell Death in Medial and Lateral Femoral Condyles in Porcine Knees After Sub-Impact Loading", $25,000, Principal Investigator, July 2011 – June 2012. NFL Charities, "Effects of Season and level of Play on Articular Cartilage Health in Collegiate Linemen", $99,965, Principal Investigator, February 2011 – December 2011. OSU Sports Health & Performance Institute, "Biomechanics and Subject-Specific Modeling of Individuals with Symptomatic Focal Chondral Defects", $15,000, Co-Investigator, July 2011 – June 2013. To know more about David C. Flanigan MD click the following links.